Here's a camp photo from the Report of the survey and exploration of northern Ontario, 1900 by the Ontario Dept. of Crown Lands. 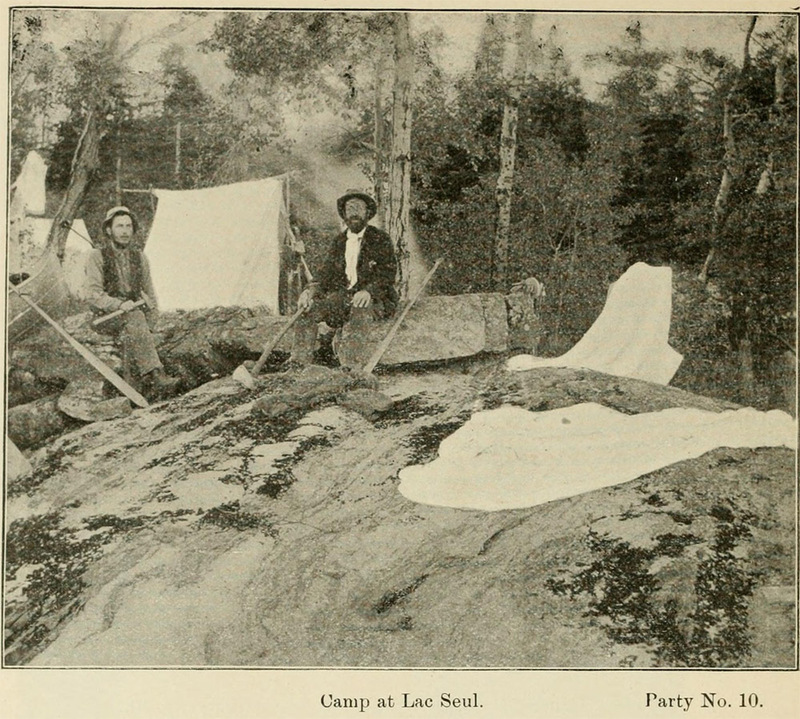 Th crew rests on boulders in camp. Two narrow bladed paddles are visible as is the bow of their all wood canoe at far right.